The food, agriculture and livestock sectors throughout the world have the highest profitability of value-added products with low capital investments and minimal labor costs. It is important for its potential to improve prosperity, wealth, and quality of social life. In the last century, the average yield has increased threefold and as much as 30 fold in some areas of agricultural production. These are the effects of generation, sharing, and implementation of new agricultural developments. The purpose of this congress, as organized by Namık Kemal University Faculty of Agriculture with the support of Association of Thrace Universities, is to create an international platform where many aspects of the latest agricultural developments and applications will be discussed. This will be an international Congress, with a scientific committee comprised of scientists from different universities and institutions of Balkan countries. It is expected that the congress will make significant contributions to strengthening the collaborations between scientists working on agriculture in the Balkan countries, increasing the agricultural production potential of the region, and the development of friendships of participants from different countries. Many academics, government officials, engineers, firms in related industries, and representatives of civil society organizations are expected to attend the Second International Balkan Agriculture Congress. 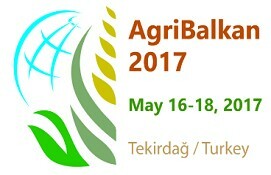 The Agricultural Faculty of Namık Kemal University and the Association of Thrace Universities, along with the other participating institutions, Trakya University, Çanakkale Onsekiz Mart University, Agriculture University – Plovdiv, Democritus University of Thrace, Trakya Agricultural Research Institute, Kırklareli Atatürk Soil and Water Agricultural Meteorology Research Institute, and Tekirdağ Viticulture Research Institute, invite you, as valuable participants of the congress, to our country with the intention that together we will make valuable contributions to science in our countries and the world. Biosystem Engineering : Agricultural Machinery, Precision Agriculture, Ergonomics, Engineering Design and Modelling, Renewable Energy, Livestock Technology, Bioenergy and Biofuels, Sustainable agriculture, Agricultural Structures, Irrigation, Drainage and Land Reclamation, Water Management, Irrigation Water Quality and Salinity, Land Consolidation, Hydrology, Climate Change. 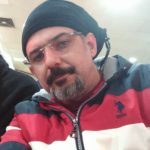 Field Crops: Agronomy, Physiology, Genetic, Genomics, Breeding, Seed Technology and Organic Production in Cereals, Edible Legumes, Industrial Crops (oil crops, fiber crops, starch and sugar crops, medicinal and aromatic plants), Forage and Pasture Crops.